Initial Technology Goal: About a year ago, MHD Communications was contacted by the CEO of an existing client that had moved to a new company. Her experience with MHD was so positive that she asked us to provide a quote for the build out of their new suite and warehouse space in the Tampa Bay area. 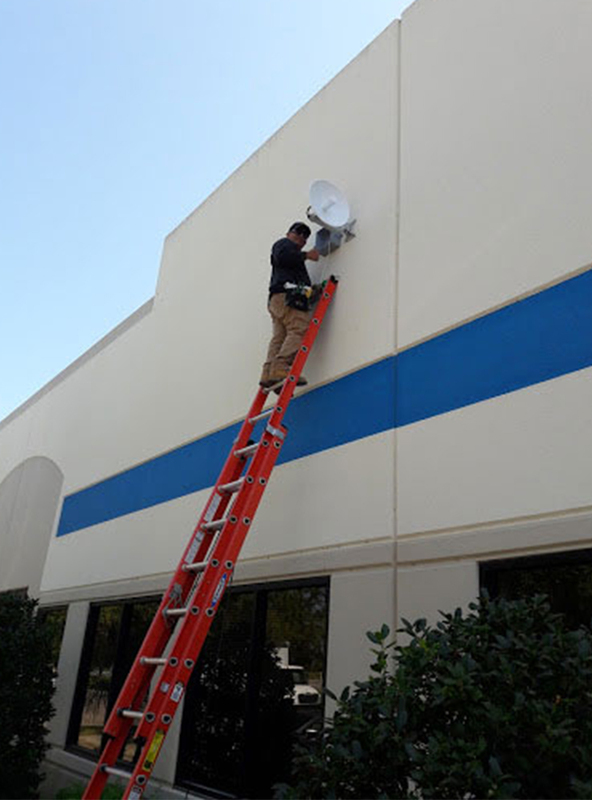 After winning the bid and installing a new security alarm system, access control system and surveillance system, as well as additional low voltage cabling to support their network, they contacted MHD Communications with great news—they needed to expand their space into another suite due to growth! Solution: MHD Communications installed Ubiquiti point-to-point wireless to expand their network in the current suite to the new suite. We also installed a new Hikvision Camera System with interior and exterior cameras and added a DSC NEO 16-zone security alarm. As a result, MHD was able to successfully and seamlessly expand their operations to an additional suite within the same business complex. Long Term Goal: To continue to support their existing systems as well as take on their Managed IT Services and to grow and expand with their business’ needs as they continue to expand.